In Fall 2017, I was honored to be featured in an article in SACRAMENTO HOME Magazine. Check it out here. Hi, my name is Laura Stewart. I have had my personal chef and catering business since 2007. As a member of the national organization, the United States Personal Chef Association, I have been inspired by personal chefs from all over the country who had a dream of owning their own personal chef business and spending their days cooking in the kitchen. I enjoy exploring all types of cuisines especially Italian, Mediterranean, French and Southwest and adding my own modern interpretations. I have an opportunity to cook for so many different clients from Governor Brown and many state senators and legislators, three players from the Sacramento Kings, many wineries throughout Northern California and countless other amazing businesses and families that have help me challenge myself to become a better chef each year. I have also worked for Wolf and Thermador appliances doing demos in their live kitchen showrooms. 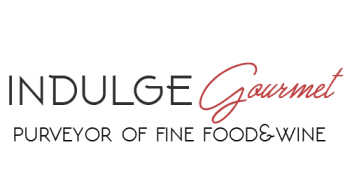 INDULGE Gourmet provides fresh and seasonal food that is made with quality ingredients. Nothing is ever pre-made from another store or supplier, we prepare everything from scratch. This not only makes the food taste better, it looks better too. We display the dishes in an elegant manner with lots of color and texture. We provide efficient and friendly servers who can handle any of your event needs. Our goal is always to be flexible, personalize each service to exceed your expectations and provide an impressive meal all your guests will enjoy.